Part Two of our mix series for La Blogothèque. We’ve tried to include something here from as many of our favourite labels as possible. Also included is a short excerpt from an interview we did with the legendary Los Angeles-based folk singer Linda Perhacs (to coincide with the release of her second solo LP “The Soul Of All Natural Things” on Asthmatic Kitty in 2014). February’s mix also comprises a few original scores to films (“Belladonna of Sadness”, “#HORROR”, “Mistress America” and “Mustang”) where each soundtrack certainly conveys a very singular mood and spirit for their respective subjects (and films). While it’s a little foolish to single out a particular song/artist (isn’t that the complete opposite of what a mixtape is supposed to be?) we would like to conclude by mentioning someone very special whom we only recently discovered: Tia Blake (thanks to Josh Rosenthal’s gorgeous book “The Record Store of the Mind”); her sole album was 1971’s “Folksongs And Ballads” (by “Tia Blake and her folk-group”), a most beautiful and precious thing indeed. Compiled by Fractured Air, February 2016. The copyright in these recordings is the property of the individual artists and/or record labels. If you like the music, please support the artist by buying their records. 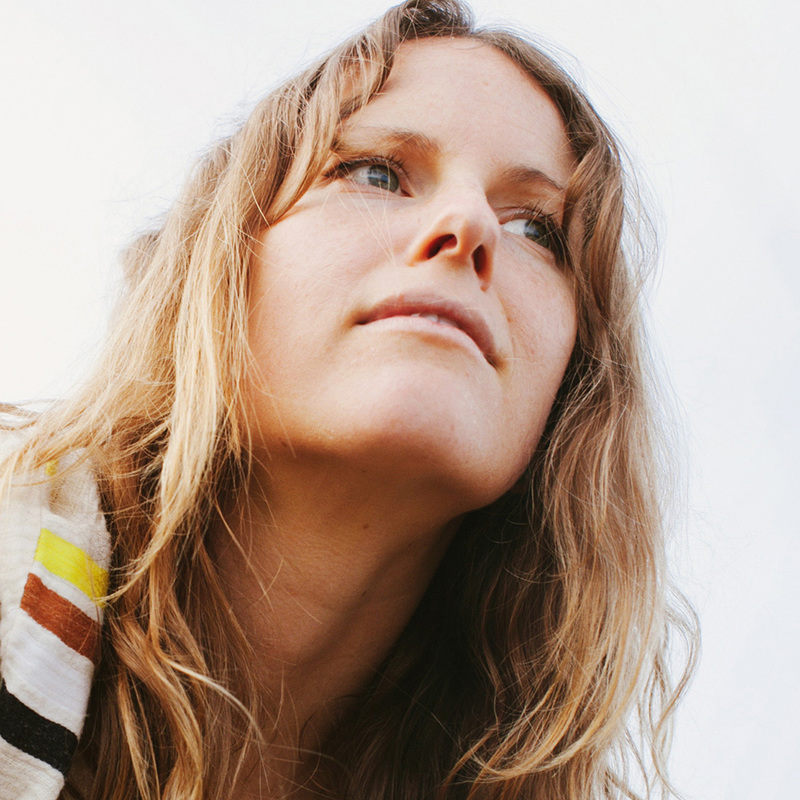 Interview with Kaitlyn Aurelia Smith. The Italian American music pioneer Suzanne Ciani has described Kaitlyn Aurelia Smith’s music as “sheer poetry…showing mastery of her medium”. The Bay Area composer’s debut full-length, ‘Euclid’ – released back in January on the ever-dependable Western Vinyl imprint – reveals a plethora of scintillating soundscapes that forges an utterly captivating voyage into new horizons of possibilities. Primarily written on a Buchla Music Easel Synthesizer, ‘Euclid’ contains seamless layers of immaculate sounds, from the album’s vital pulse of Smith’s synthesizer instrument to wordless vocals and electronic wizardry. The musician’s timeless creation draws a lovely parallel to musical luminaries such as Laurie Spiegel, Suzanne Ciani and Terry Riley that further pushes the sonic envelope and music’s endless possibilities. 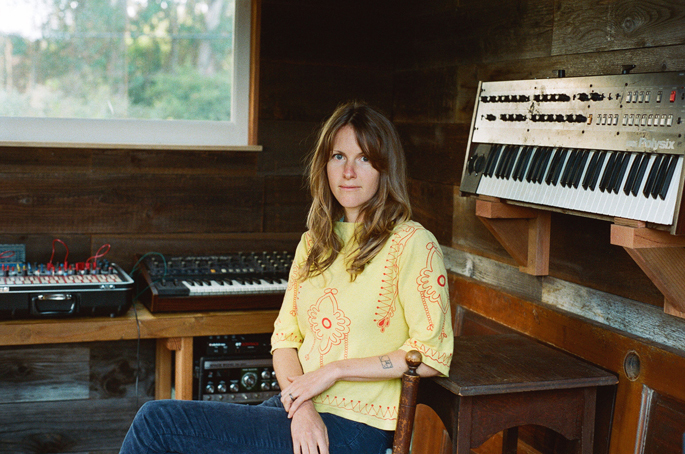 Kaitlyn Aurelia Smith’s formative years were spent communing with nature on Orcas Island in the northwest region of Washington state. Undoubtedly, the sum of these experiences with the natural world is transplanted into the medium of music, masterfully sculpted by Smith (and etched across ‘Euclid’s sprawling canvas of otherworldly sound). Later, Smith left the island to attend Berklee College of Music, where she studied composition and sound engineering. During this time, Smith was one of the core members of indie folk band Ever Isles but it was a chance encounter with a Buchla 100 Synthesizer that changed the course of Smith’s music path. Part A of ‘Euclid’ were initially structured using Euclidean geometry, an idea which Smith explored while attending a class at the San Francisco Conservatory. The stunning album opener ‘Careen’ and the utterly transcendent ‘Stunts’ offers just a glimpse into the disparate sounds on display throughout the debut record. 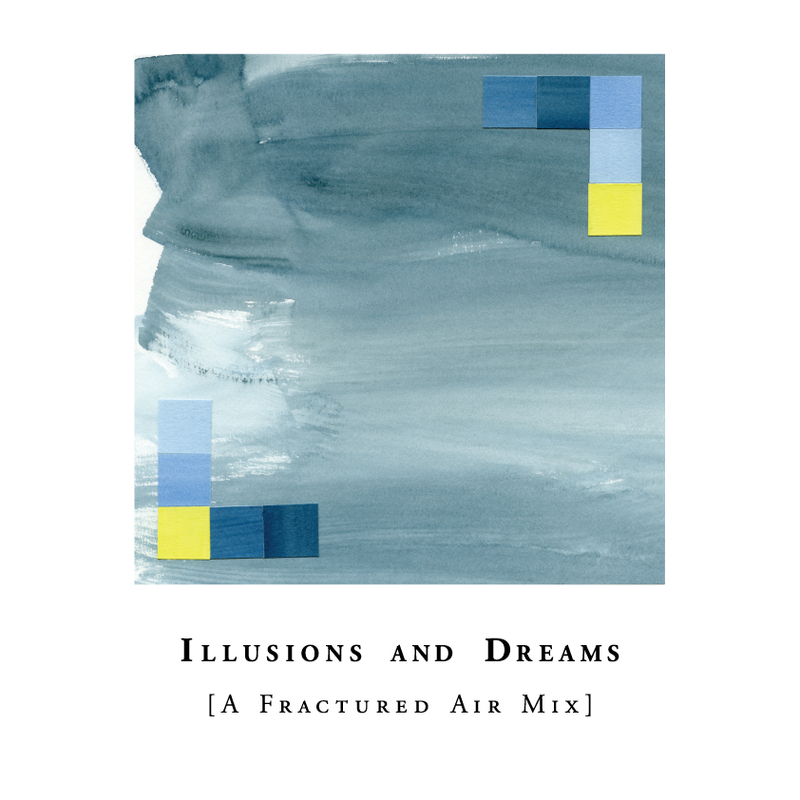 In contrast, part B comprises twelve short pieces, (appropriately) entitled ‘Labyrinth’- originally composed as new soundtracks to old silent films – that brings to mind the serenity and natural beauty of Orcas Island through its kaleidoscope of visionary tones and textures. ‘Euclid’ is a towering achievement where evocative experiences are rendered into vital being. ‘Euclid’ is out now on Western Vinyl. Congratulations Kaitlyn on the stunning debut solo record, ‘Euclid’; it’s an utterly captivating and mesmerising sonic voyage into new horizons of possibilities. Firstly, can you please discuss the Buchla Music Easel synthesizer from which ‘Euclid’ was primarily centred on. What are the possibilities you see in this particular instrument and please also discuss the different techniques utilized (or the central process you have developed with this instrument) that forms the basis of this exceptional debut full-length offering? 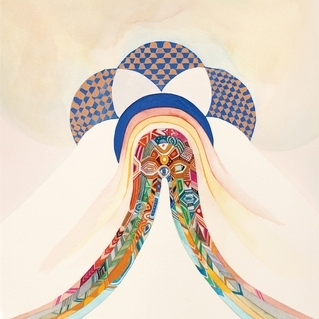 Kaitlyn Aurelia Smith: Thank you for your kind words. The Buchla Music Easel is a Modular Synthesizer made by Don Buchla in the 70’s. It was designed to be a complete performance instrument in the size of carry-on luggage. It is difficult to discuss the possibilities of this instrument because as I feel with all modular synthesizers, there are endless possibilities. I am always experiencing novelty when I interact with one. I was very interested to read how part A of ‘Euclid.’ was initially structured using euclidean geometry, an area you explored at the San Francisco Conservatory. Listening to these six multi-layered compositions, one striking aspect is indeed the three-dimensional shape and sphere of musical imagination exhibited throughout. Can you please talk me through part A of ‘Euclid’’s journey and the relationship between euclidean geometry and sound exploration? KAS: Sure, ‘Careen’ (the first track on ‘Euclid’) was creating with the shape of a Vellela in mind. Not sure if you have ever seen one, but where I live they cover the beach at certain times of the year. So my first process was to count how many aspects made up that shape. In that particular case, I counted 78. So that was how many tracks / parts I was going to create for that song. Next I assigned each arc and straight line a different note value and rhythm value. Then I would see where they intersect and what harmony that would create and use it as a guide to writing my parts. This process would change for each shape / song. In terms of the recording of ‘Euclid’ what were the recording sessions like? There are so many layers of immaculate sounds with such varied sounds from wordless vocals to electronic loops and synthesizers, did it prove challenging to find the right balance to these songs? It’s clear there is a beautiful sense of equilibrium where moments of transcendence are dotted like stars across a night sky. I would love to know what precise equipment and tools you had at your disposal in the studio? KAS: I had a ribbon mic, laptop, motu interface, buchla music easel, my voice, and the sounds of objects around me. The recording sessions were A LOT of fun. They always are. I try and always have in my mind, ” I wonder what will happen if I try this…” For me, if curiosity is the driving force when I make music, it’s always a good time. And allowing days or weeks between listening sessions when I mix is key. My current favourite must be ‘Stunts’. I particularly love the harmonies and celestial pop sounds that are masterfully woven together. It feels meditative and a piece of music belonging to a space in time we have not yet arrived upon. Can you reminisce please writing and recording this track and the layers of sounds that comprise ‘Stunts’. I wonder is the Buchla instrument always the starting point for each of the musical compositions and a case of adding more elements at a later stage? KAS: That song in particular has a lot of sounds I love in my house. I have a homemade water carbonator that I used a lot in that song. I also wanted to use a classic pop chord progression for that one. Part B is a collection of twelve short pieces; bringing in turn, new dimensions and aesthetics to the album as a whole. The ‘Labyrinth’ pieces were originally composed as new soundtracks to old silent films. I’m immediately intrigued by the beauty of this creative project (even in writing before ever hearing a musical note!) I would love to know what these particular silent films were and if there were certain scenes that resonated powerfully for you? An ethereal feel radiates throughout and feels like one cohesive whole or one large mood piece (rather than many short pieces). They can be found on the Euclid page. My personal favourite is one of hang gliding. Please discuss the sources of inspiration behind your singular works, Kaitlyn? KAS: Always nature and curiosity. What new avenues do you want to explore next? In terms of the Buchla potential, are there certain aspects of this instrument you want to further explore and experiment with on forthcoming projects? KAS: I am excited about blending my work with orchestral instruments and synthesizers together. I look forward to collaborating with other composers, synthesists, film makers, and dancers.